You gamers want new Volta graphics cards? Sorry, Nvidia is all out. The Oak Ridge National Laboratory just cleared the shelves of 27,648 of the latest Tesla GPUs for its Summit supercomputer – the world’s fastest. 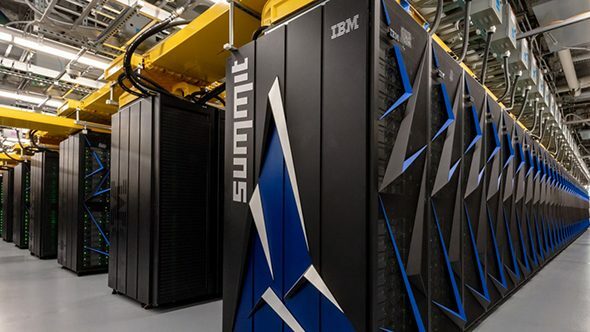 The supercomputer is designed for AI and data chomping on a tremendous scale, and is capable of dealing with 200 quadrillion calculations per second. The supercomputer, built in the US, features 9,216 IBM Power9 CPUs to sit alongside all that parallel compute power provided by Nvidia. It also shares 250 petabytes of storage capacity, can transfer data between nodes at a rate of 25 gigabytes per second, and comes with over 10 petabytes of DDR4, HBM2, and non-volatile memory. You can’t get a supercomputer, but we can offer you a super computer powered by the best CPUs for gaming around. All that computational horsepower is being put to use crunching the numbers in the fight against cancer, optimising experimental fusion reactions, identifying materials on an atomic scale, delving into astrophysics, and identifying patterns in diseases to allow medical researchers greater insight and more data with which to discover new treatments. 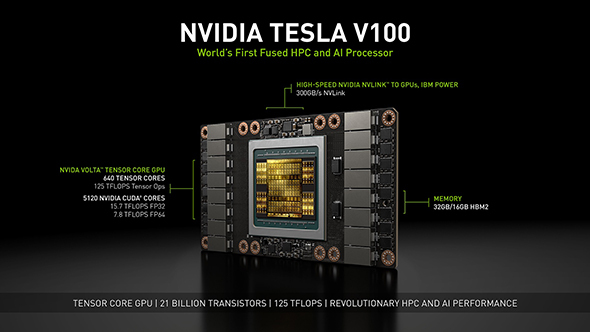 Regular NVLink Tesla V100 GPUs are able to crunch deep learning algorithms at a rate of 125 teraflops and double precision at a rate of 15.7 teraflops. Summit outputs 200 petaflops of high-precision power – 95% of which comes from Nvidia’s Volta GPUs – and a whole lot more for AI algorithmic learning thanks to the Tensor Cores. One petaflop is 1000 teraflops, so you get the idea of just how much power this supercomputer has under the hood. If that’s not clear enough, Nvidia also summise the power of those 27,648 Nvidia Volta GPUs pretty well. If everyone on Earth did one calculation per second, it would take 15 years to do what Summit can do in a single second. And here we are taking our graphics cards for granted. While Intel is working on its own supercomputers, the company’s ‘Northstar vision’ is pretty universal. Back at the JP Morgan 46th Annual Technology Conference in May, it outlined its vision as to exactly where Intel wants computing to end up in the future – all it has to do is figure out how to get there. The Summit supercomputer at the Oak Ridge National Laboratory is far beyond the specs of Intel’s Northstar vision – and getting a lot of crucial work done with all that horsepower – but it just goes to show that Intel’s vision for the future of computing for every consumer may not be all that distant after all. 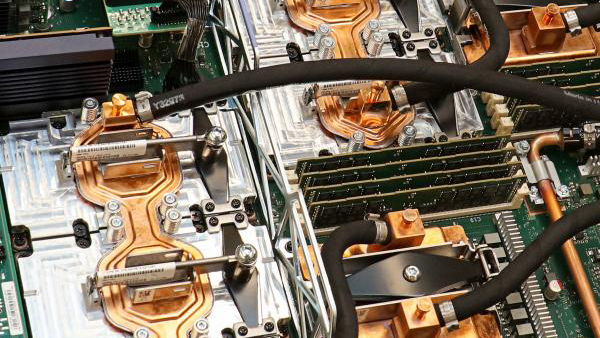 Summit is already 100 times faster than Titan – the previous US supercomputing frontrunner built five years ago. With quantum on the way – which can crunch through calculations at unfathomably rapid speeds – supercomputers will have a massively crucial part to play in the future of high-performance computing even when traditional computing is long gone. Maybe now there are some spare Volta GPUs for us gamers? Although, according to Jen-Hsun’s next-gen GPU predictions, maybe not for a long while.